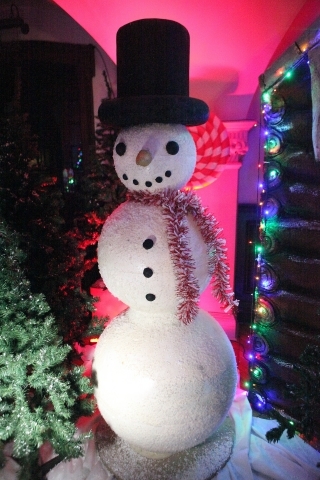 It is a tradition for our family to visit a Santa's Grotto, and we like to try somewhere new each year. 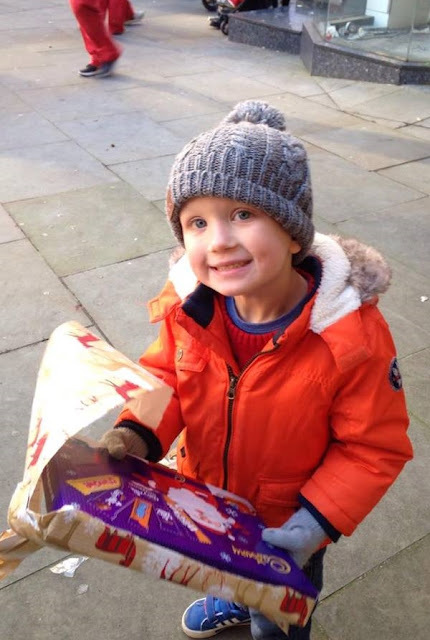 I am really enjoying the festive season so far, as my youngest son who is 3, is really starting to enjoy Christmas and has been learning all about the true meaning of Christmas in nursery as well as making lots of craft and talking excitedly about Santa. He was therefore really happy when I told him that we were going to see Santa on Sunday. 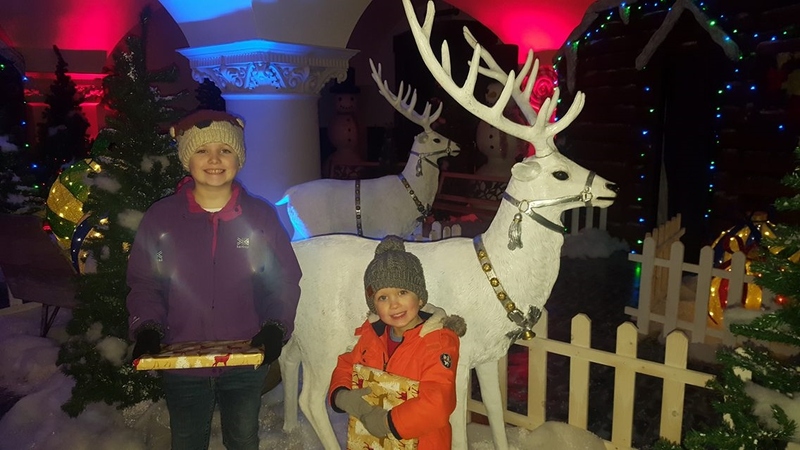 The traditional style grotto is housed in The Crypt of the Town Hall, and after being greeted by Santa's Elves, you can follow the Santa trail through a festive fantasy world featuring reindeers, fairytale characters, candy canes and giant gingerbread men. 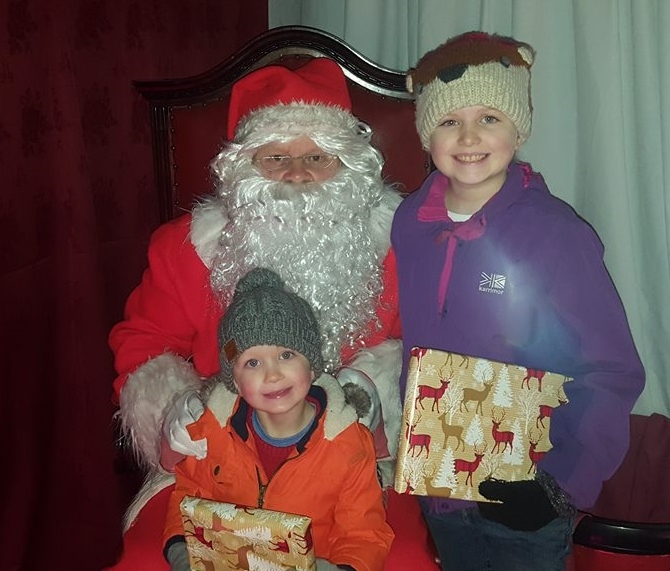 Santa's Magical Grotto has been described as being bigger and better than ever for Christmas 2016, and it is open each weekend from 26th November to the 11th December and will then be open daily from Friday 16th December to Friday 23rd December. Lord Mayor, Counciller Roz Gladden, said "Liverpool Town Hall is a Liverpool Landmark - so where better to bring your family and enjoy a traditional magical grotto". "This year, our excited young visitors (and old ones too! ), can look forward to meeting Father Christmas in the grand surrounds of Liverpool Town Hall. We look forward to ensuring everyone has a truly magical time". We live in North Wales, but Liverpool is within easy travelling distance at only 45 minutes by train or car, and so after reading all about Santa's Magical Grotto in Liverpool, we decided to pay a visit. We often choose to travel by train as the kids really enjoy it, it is more cost effective and there is no worry about finding somewhere to park. We arrived at the Town Hall just after 10:30am, it was very busy outside due to an event taking place and so I couldn't see any signage other than it was the town hall, so I wasn't entirely sure if we had the right entrance. However, it soon became apparent that we did, as when the door was opened two friendly elves came dashing towards us. The elves were full of enthusiasm and chatted away to the kids. I really enjoyed the fact that the experience began as soon as you walked through the doors, and my son was so happy to have met an actual *real elf! As we were walking through the festive decorations, our elf guide asked our names and whether we thought we were on the good or naughty list this year. We were then encouraged to shout "SANTA" before being led into his cosy grotto. My son couldn't wait to tell Santa what was on his Christmas list, and I was a little bit worried about what is response would be as my son wants a Dolls House and a Kitchen, and quite a few people have proclaimed (much to my annoyance) that these are girls toys. I was relieved when Santa exclaimed "Well isn't that lovely, I will do my very best to bring you those toys on Christmas Eve as long as you're a very good boy." I was delighted with this reply as my son was grinning from ear to ear and my daughter loved seeing her little brother enjoy the experience so much. Both children were provided with an early Christmas gift that was neatly wrapped, and I took a picture of the children side by side with Santa. When we left we took some more time to have a closer look at the decorations and take some photos. It was really quiet when we were there so the elves said that we were fine to take a good look and get some pictures. As we left a lady approached and asked if we wanted to purchase our photograph, however no-one had taken our photo whilst we were there, nor was it mentioned to us whilst in the grotto, so I am not sure if the photographer had just popped out, or simply hadn't been made aware that we were there. This wasn't an issue though as the lady did kindly offer for us to go back down and have our photo taken, but it was at this point I was informed that there was an additional charge for this so I politely declined. I have read a few press reports on the event and note that none of the ones I have read mention the additional charge, so just to make you aware it is £6 for one photo or £10 for two. For guaranteed entry, tickets can be purchased in advance via Ticketquarter and are priced at £8.25 per child which includes meeting Santa Claus, a selection box, and two accompanying adults (there is a cost of £1.50 for any additional adults). There are also a number of on the day tickets available at a slightly lower price of £7.50 but queues are likely at busier times. My children really enjoyed the experience, and the elves were all really enthusiastic and friendly, which immediately made my son Riley feel at ease, as he is often very shy with strangers, but he chatted away to the elves and told them his name and age. As we were leaving one of the elves also approached us again, and asked if we had enjoyed meeting Santa and wished us a Merry Christmas. 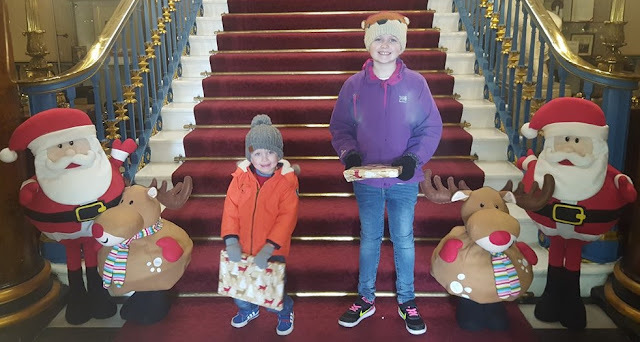 Once outside I agreed that the children could open their gifts early, so they both unwrapped their presents and chose one of the chocolates to eat whilst we continued our day out in Liverpool and headed to Dreamworks Lights at St Georges Hall. I was provided with complimentary tickets for the purpose of providing an honest review of the attraction. All opinions are my own.